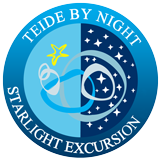 During your Tenerife holidays, you will probably stay at a more touristic place like Las Américas, Los Cristianos, Puerto de la Cruz or the Capital of Santa Cruz. 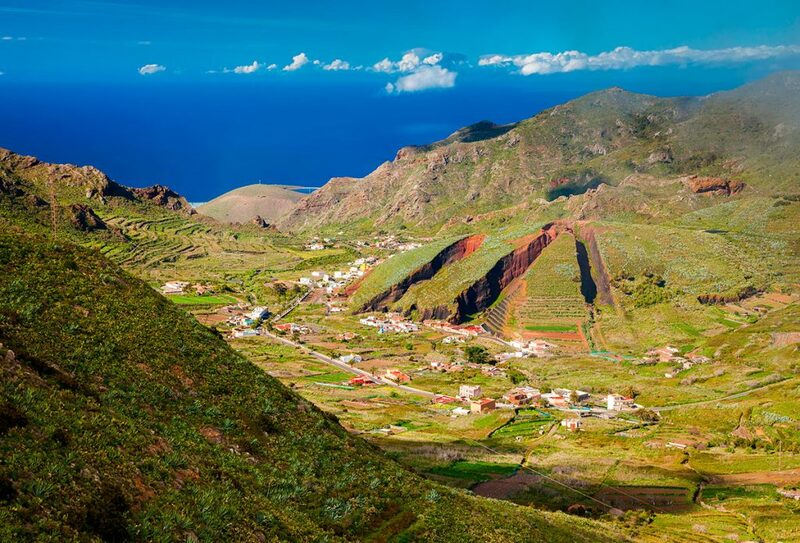 Some of the biggest tourist hotspots in Tenerife are also La Laguna, El Médano and Los Gigantes. 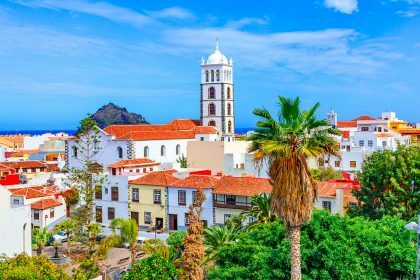 However, there are some smaller towns in Tenerife that are really worth a visit and that will show you the real Tenerife. Furthermore, it is not a secret that the best restaurants in Tenerife are hidden in the outskirts of smaller towns, the so-called ‘Guachinches’. If you would like to plan a trip to a town with beautiful colonial style buildings or astonishing natural surroundings, keep reading! This small town located south of the Teide National Park is the highest laying town of the Island at 1.414m of altitude. A lot of incredible walking trails start here, being the most famous one the path that leads to ‘El Paisaje Lunar’ or ‘The Lunar Landscape’, an astonishingly beautiful volcanic formation. This tiny village rests in a valley in the middle of the Teno Natural Park, surrounded by mountains and a rich natural splendour. 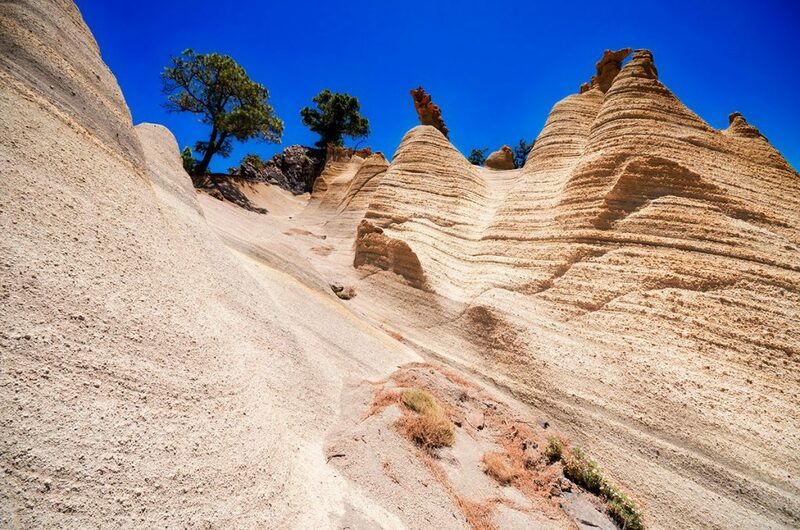 The Teno Massif is one of the three volcanic formations that created the Island of Tenerife thousands of years ago. Spectacular hiking trails start from this town, like the path to El Monte del Agua and Las Lagunetas, where you will find an ancient Laurel forest. It doesn’t surprise us that the Spanish conquerors founded this town because of its fertile lands. In spring, the whole valley starts to bloom and you can hear the bees buzzing around the flowers. 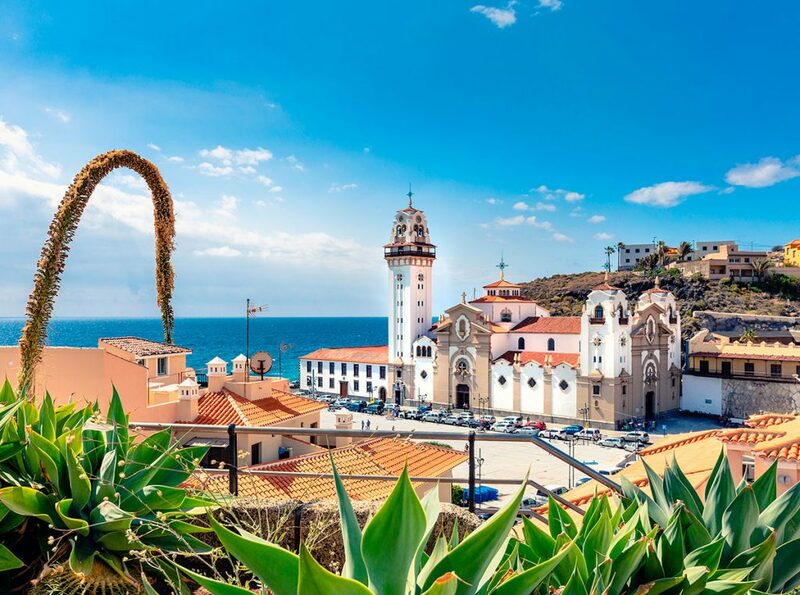 Located on the eastern coast of Tenerife, Candelaria is a slightly bigger town with less tourism than the southern part of the island but that also enjoys very good weather all year along. Take a walk by the promenade and end by the beautiful Basilica of Candelaria. In the same square, you will find nine big statues of the aboriginal Guanche kings which ruled the different pre-Hispanic kingdoms of Tenerife. 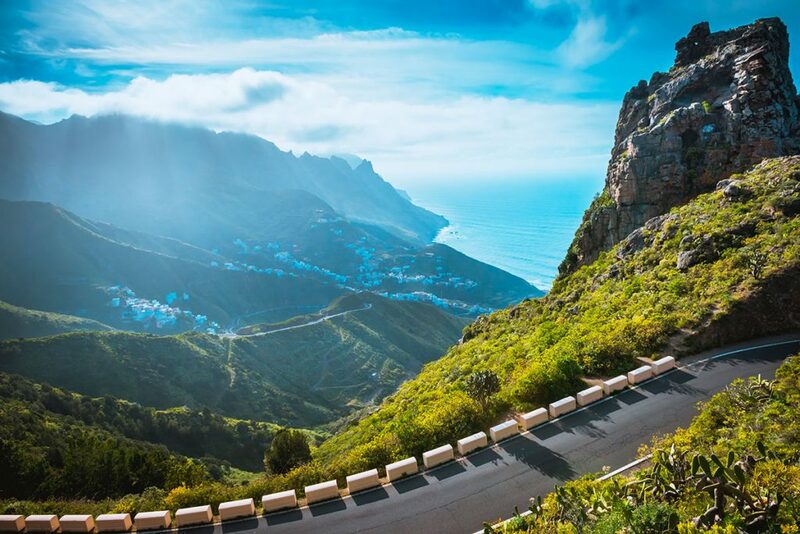 You can drive to Garachico from the northern part of the Island or from the Los Gigantes area through the curvy small road that crosses the Teno Massif. There is no highway leading to this town, which makes less accessible and, therefore, more quiet and special. Garachico had its golden age in the XVI and XVII century, when it was the main Port of the Island, leading the commercial traffic with America, Africa and Europe. Later on, other ports gained more importance and a violent volcanic eruption that took place in 1706 would be the end of its primacy. The old town is beautifully preserved and the promenade by the seaside is very relaxing and enjoyable. Very near Garachico, this historic town lays a bit higher in the mountain with beautiful views of the sea and the valley thanks to its altitude and steep streets. The town is surrounded by lots of green: pine tree forests, vineyards and agriculture. 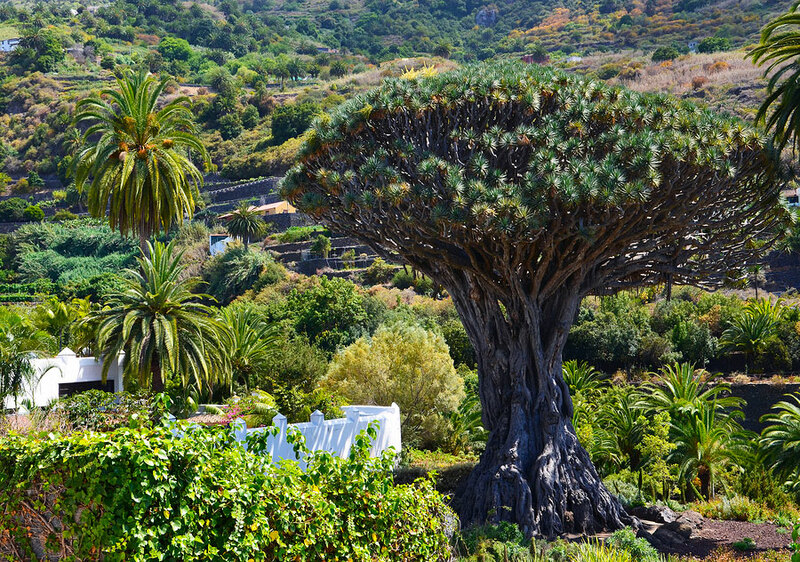 The flagship of the town is its millennial Dragon Tree, which is believed to be over 800 years old. The tree is not only old but also big, with a perimeter of 20 m and 18 m of height. 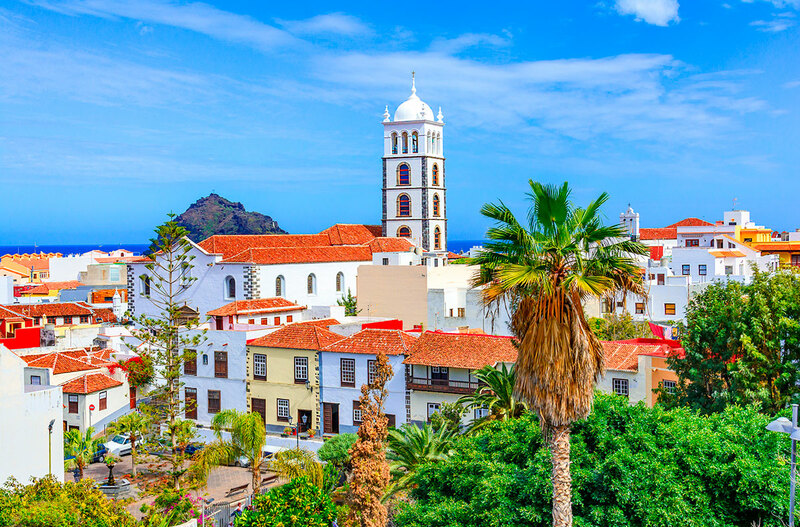 Its beautiful colonial style historic buildings are very well-preserved and you will find interesting museums like the Museum of the Guanches, the Museum of the Malvasia Wine and a very curious museum of dolls ARTIAndya. Something you can’t miss either is La Cueva de Los Vientos, the largest volcanic cave in Europe with more than 17 km of length. The most beautiful part of this village is by far its location and surroundings. 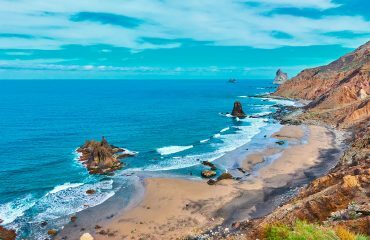 After driving through the dense forests of the Natural Park of Anaga and arriving at the remote coastline, you will find this small village with beautiful sandy beaches and big volcanic rock formations. The restaurants by the promenade serve fresh fish and on the weekends you can find some groups of friends playing traditional Canarian music after lunch. 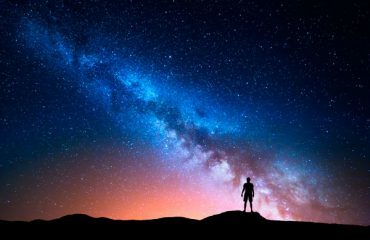 The road wasn’t built until 1968, meaning that its inhabitants still remember living here without almost any communication. All of these towns sound appealing, right? 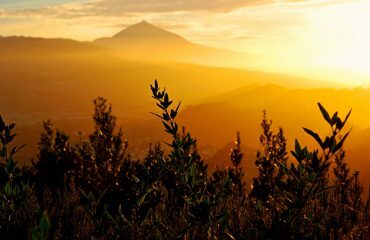 The next time you visit Tenerife, apart from planning your must-see Teide sunset tour with Teide by Night, make sure to leave time for a short visit to one of these beautiful and authentic spots on the island.